GOVERNMENT has asked the Church to join the fight against corruption, tribalism and lawlessness because the vices are detrimental to the development of the nation. 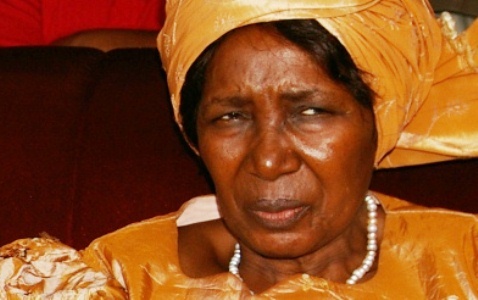 Gender and Child Development Minister Inonge Wina said the Church should fight vices such as corruption and tribalism, using its role of promoting ethical morals. Ms Wina, who is also Patriotic Front national chairperson, said society should see God’s justice and ethical standard of behaviour through the Church and not for it to conceal wrong doing. She was speaking at the closing of the 17th Board of Christian Education Congress and re-dedication of the Episcopal Residence for the African Methodist Episcopal Church in Mapepe area of Chilanga yesterday. Ms Wina said issues of corruption, tribalism and lack of respect for the rule of law should be dealt with head-on to rid the nation of vices that are detrimental to the development of the country politically, economically and socially. Ms Wina said the Church and Government should continue to partner to bring about positive image change, peace, unity and economic development. She said the dedication of the Episcopal Residence which was being celebrated under the theme “Reclaiming the Empowering Legacy of the African Methodist Episcopal Church for Radical Transformation” marked a great step in the development of the church. Ms Wina, who commended the women at the church, said the inherent female trait of cherishing life was of utmost importance to all human society adding, “women can become a great force against war and in favour of peace”. “It is in this vein that gender equality is considered essential for sustainable development of institutions, including the Church” Ms Wina said. Ms Wina said the kind of courage, resourcefulness, commitment and love that was characteristic of women could become a strong social force in the world where violence, bloody wars and conflicts were the order of the day. She said her ministry would introduce programmes to enhance women’s participation in national development to see women in AMEC take an active role in the management of the church. Ms Wina said Government would continue to work towards eradicating all forms of discrimination against women and challenged the church to help fight the high cases of gender based violence (GBV) in the country. Ms Wina urged the church to take a stance against GBV and prevent the vice through teachings, counseling and sensitisation so that all could respect one another and live in peace and harmony.